South Korean shipbuilders regained the top spot in the global market share of shipbuilding orders last year, beating their Chinese counterparts for the first time in seven years due mainly to a surge in demand for liquefied natural gas carriers. The industry, which has just turned a corner, still faces challenges in offshore drilling. According to London-based offshore and energy tracker Clarkson Research, global orders of Korean shipbuilders stood at 12.6 million compensated gross tonnage last year, accounting for 44.2 percent of the total orders. The orders of Chinese shipbuilders were 9.1 million CGT, accounting for 32 percent of the total share. The latest breakthrough by the Korean shipbuilding industry was mainly fueled by rising orders of LNG carriers for the nation’s big three shipbuilders -- Hyundai Heavy Industries, Samsung Heavy Industries and Daewoo Shipbuilding & Marine Engineering. They gained 66 LNG carrier orders last year out of the total 76 orders. Their performance is also forecast to be strong this year, as the current upswing in the LNG carrier market is expected to continue. 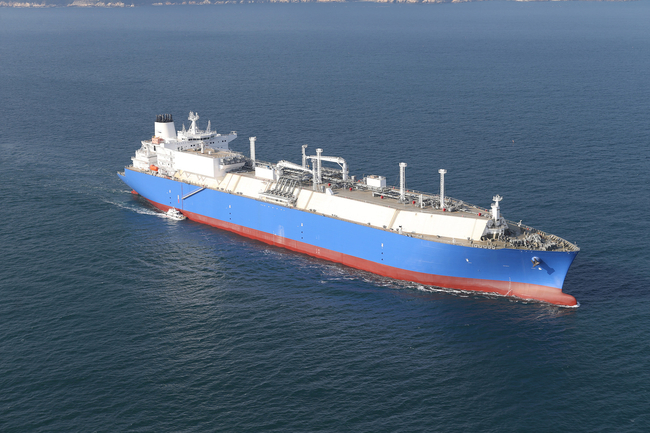 The global LNG carrier market is expected to post a nearly 5 percent rise on average over the next five years due mainly to rising demand for cleaner fuels, including natural gas, globally, according to London-based research firm Technavio. CEOs from the big three shipbuilders have also vowed to reclaim the nation’s title of “shipbuilding powerhouse” in their New Year’s address. DSME CEO Jung Sung-leep has pledged to make the firm small but solid this year, by reclaiming the reputation of the world’s best shipbuilder. Samsung Heavy Industries CEO Nam Joon-ou has vowed to make this year the first year for revival and a new takeoff. Still, some say it is too early to talk about the revival of the nation’s shipbuilding industry, as it still faces challenges in offshore drilling. Last year, only Hyundai won one offshore drilling contract for the King’s Quay project of the US firm LLOG Exploration, with Samsung and Daewoo gaining zero. Offshore drilling vessels are a platform to explore for and extract petroleum, which lies in rock formations beneath the seabed. In the early 2010s, many Korean shipbuilders rashly jumped into the high-value offshore drilling market by making big investments. But they ended up having 7 trillion won ($6.2 billion) in losses in 2015 due to the plunge of oil prices and frequent design changes. The market is still in a slump, as global oil major firms have not been active in investment amid low oil prices. On top of that, competition is becoming fiercer in the market, as rivals from Singapore and China are luring oil major firms with low prices. Last year, the nation’s three-biggest shipbuilders all joined the bidding for the Rosebank project of the US oil firm Chevron Corp. Hyundai and Samsung gave up due to cost competitiveness, and only Daewoo and Singapore-based Sembcorp Marine are left as the final candidates. Currently, the big three are all waiting for the results of their bidding for offshore drilling projects. Hyundai is waiting for the result of the Vietnam Block B offshore field development, while Daewoo is awaiting the Rosebank project and Samsung is waiting for the Reliance project of Indian firm Reliance Industries.